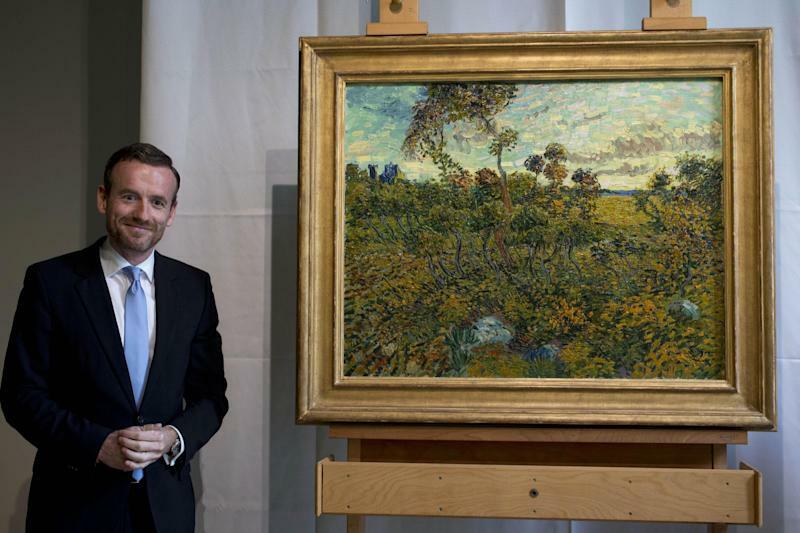 AMSTERDAM (AP) — A painting that sat for six decades in a Norwegian industrialist's attic after he was told it was a fake Van Gogh was pronounced the real thing Monday, making it the first full-size canvas by the tortured Dutch artist to be discovered since 1928. 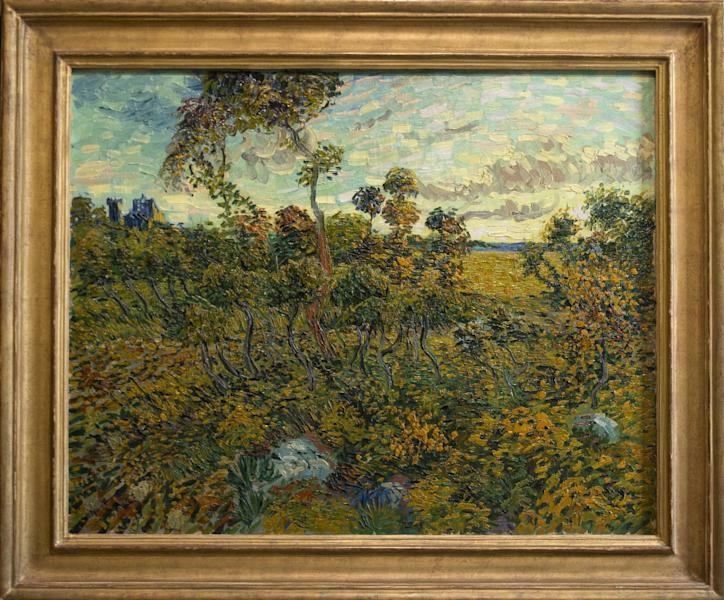 Experts at the Van Gogh Museum in Amsterdam authenticated the 1888 landscape "Sunset at Montmajour" with the help of Vincent Van Gogh's letters, chemical analysis of the pigments and X-rays of the canvas. Museum director Axel Rueger, at an unveiling ceremony, described the discovery as a "once-in-a-lifetime experience." Museum officials would not identify the owner who brought the painting to them in 2011 to be authenticated. 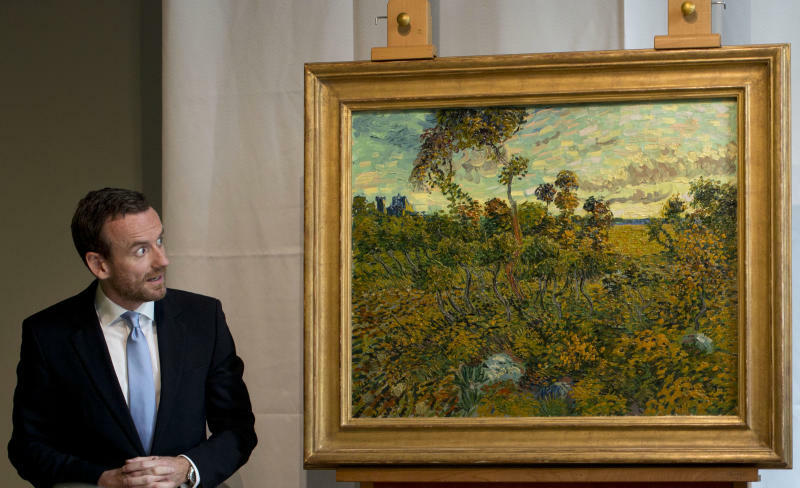 Van Gogh paintings are among the most valuable in the world, fetching tens of millions of dollars on the rare occasions one is sold at auction. The roughly 37-by-29-inch "Sunset at Montmajour" depicts a dry landscape of twisting oak trees, bushes and sky, and was done during the period when Van Gogh was increasingly adopting the thick "impasto" brush strokes that became typical of his work in the final years of his short life. It can be dated to the exact day it was painted because he described it in a letter to his brother, Theo, and said he had painted it the previous day — July 4, 1888. "At sunset I was on a stony heath where very small, twisted oaks grow, in the background a ruin on the hill and wheat fields in the valley," Van Gogh wrote. "It was romantic. ... The sun was pouring its very yellow rays over the bushes and the ground, absolutely a shower of gold."